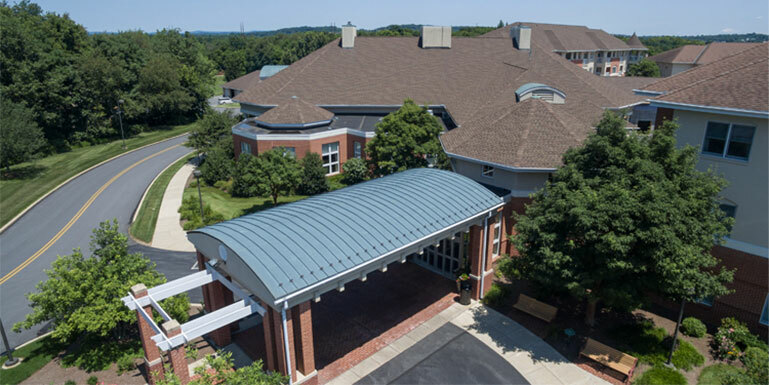 We are a GAF Master Contractor certified roofing company with more than 40 years building, repairing, and maintaining roofs for businesses of all sizes. Explore what makes us unique. Learn about Weaver Roofing, read our Commercial Roofing Blog, and explore the career opportunities at Weaver Roofing. Learn about the values that guide every single partnership—no matter how big or small. We’re always looking to bring aboard career-minded individuals that work as a team, live our values, and give their best on a jobsite. When Mel Weaver began building homes and commercial buildings over forty years ago, little did he know that the company he founded would grow to become one of the most respected construction firms in the Mid-Atlantic region.Today, Weaver Companies is in its second generation of family leadership with Mel’s sons, Ken and Randy, at the helm. Yet the principles that guided Mel since the beginning – values like giving an honest day’s work for an honest day’s pay and treating customers like family – live on to this day. These qualities are two of the many reasons why Weaver Companies stand out among their peers.